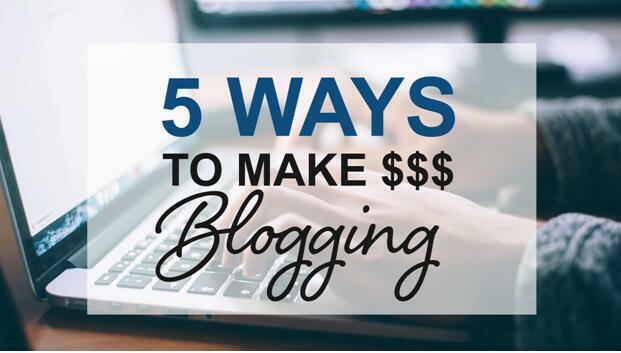 5 Ways to Make Money Writing Blogs or Editing Wiki Pages | AdsWiki - Ad Network Listing, Reviews, Payment Proof & Advertising News. When the blogs were first introduced, they were regarded as glorified digital magazines and journals. However, in the past money-making and gaining incredible profits from blogging was never the target. But with the evolution of the digital atmosphere and the change in reasons for blogging, the blogging landscape has changed to a much greater extent. Now in this highly-digitized age, where blogging is the core element of every marketing, advertising, promotional strategy, blogging has diversified a lot. From business and marketing to entertainment and political topics and subjects, blogging covers a larger and almost category and industry of this modern era. Starting a blog of your own and developing is one of the crucial aspects of every modern marketing strategy. Blogging might sound like an easy job because all you have to do is to sit at home and write about something that inspires you or intrigues your interest, sounds simple right? However such is not the case, starting might be a simple task but when it comes to developing your blogs you need to acquire a considerable amount of earnings and profits from it. Blogging can be a profitable career, enabling you to work while relaxing at home. However, not every blog is going to be a huge success. Making a successful blog demands untiring efforts, complete dedication, and perseverance. Building a blog takes time and coming up with better and improved content is one of the challenging parts of this job. Having a clear understanding of what it takes to become a successful and renowned blogger can help you in reaching your blogging goals and targets. Collaborating with multiple recognized advertising partners can also help you in expanding the type and increasing the numbers of readers. Even though you can blogging provides you with the benefit of working from anywhere at any time, it still requires tons of hard work. You don’t only write blogs and articles, but you also have to build contacts, promote your blogging website and manage the whole blogging community. Interact with the readers and make sure to give a timely response. Whether it’s a simple innovation or the first ever blog, nothing makes it to the front cover without a solid advertising strategy. Many blogging websites sell some space for advertising services. These advertising services pay the rent either for having the ad space or by how much coverage the advertisement gets. These ad services are a great way of generating income as these ads services pay as per the number of people clicking your ad. Some of the ad services pay as per the organic traffic that your blogging receives which in most cases is not as profitable as the previous way. The revenue and profit generated by advertisements are accruing rather than one big financial breakthrough. The internet t is jam-packed with hundreds and thousands of smaller websites that are in a constant search of reputed and well-versed writers to create well-composed written pieces for their sites. Most of these smaller blogging sites pay well based on the quality of the content that you provided them with. So take some timeout and search for topics and sites that might help you in generating passive income. Try to find a website that might be interested in publishing your content. Some sites might pay you more based on the acknowledgment and popularity of the published article. Since each blogging site has its own set of rules and guidelines, try to follow their content tone, article length, and writing and formatting styles to get your article featured. Internet and Google are the first places that every person who is looking for a wiki writer go to. Several websites post freelance jobs for wiki writers and experts, and it can be a great way to give a breakthrough to your blogging sites. Whether you are a Wikipedia page creator or an editor, look for such job postings that require wiki-expertise to edit or create new content for Wikipedia. Get to know more about your client’s needs and requirements and understand every detail before updating or starting off with the content creation process. Produce a Wikipedia article and submit it for client’s approval to collect your payments. Another widely-used practice of money-making through blogs is to sell memberships. The key to making money through premium memberships is to ensure that you are providing your clients with something of great value, something that they will not find on another site. Make sure that you are developing something that is worth the price.